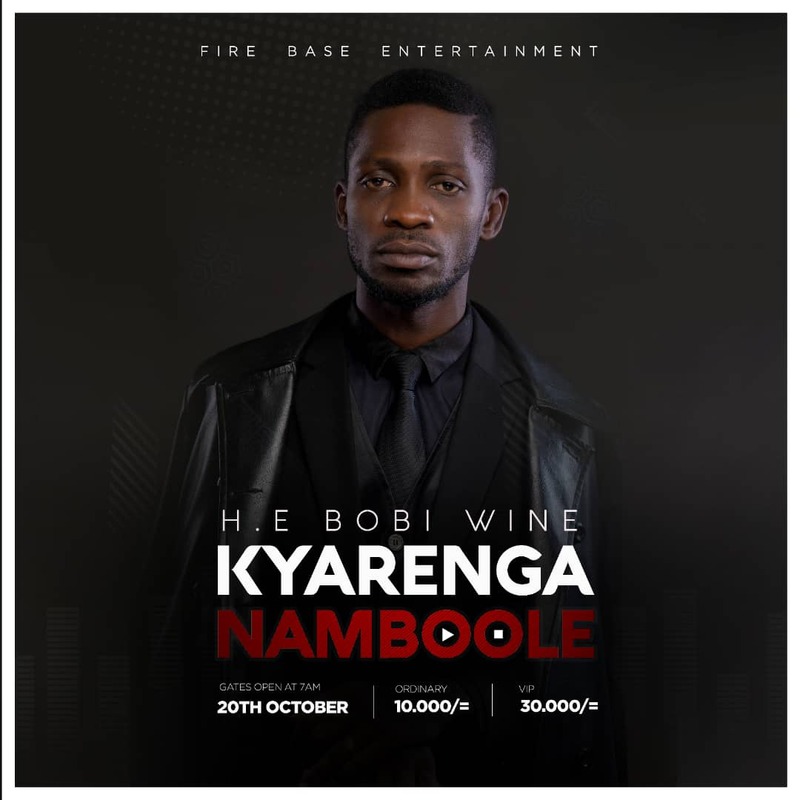 KAMPALA – The much anticipated Kyarenga music show to be staged by Kyadondo East MP Robert Kyagulamyi, aka Bobi Wine may not take place after all after the management of Namboole Stadium said the show venue is booked for other events. 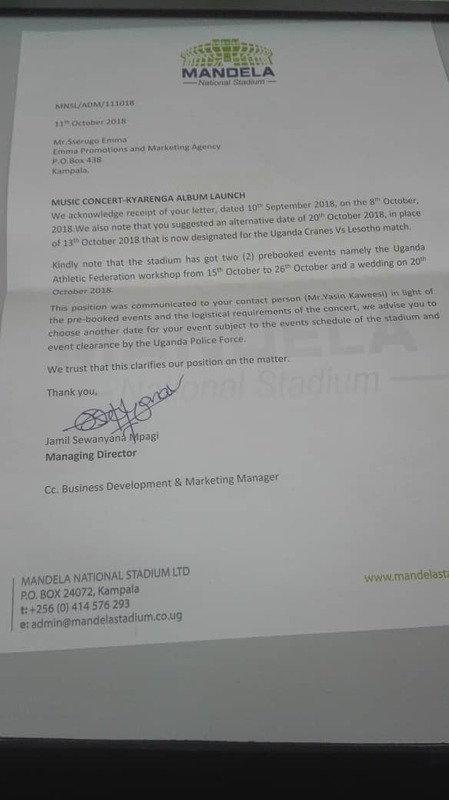 In an October 12 letter, the stadium manager, Mr Jamil Ssewanyana, advised Bobi Wine to reschedule the show to another day for the concert because on October 20 when Kyarenga show is to be held, the venue has been booked for a wedding reception and an Athletics event that runs from October 20th to October 26. Besides, Mr Ssewanyana added, that whereas Bobi Wine’s Fire Base Crew had booked the venue for the concert on October 20th, but as part of other requirements, the organisers were expected to obtain clearance from police, which they did not present to the venue managers in time.